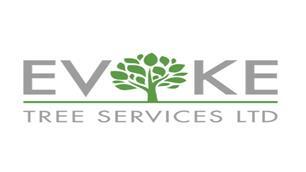 Evoke Tree Services - Garden Services, Tree Surgeon based in Welwyn Garden City, Hertfordshire. My name is Billy Ryan and I run Evoke Tree Services Ltd. I have been in the arboricultural industry for over 18 years and with this experience and knowledge I feel our team of tree surgeons can offer a quality, professional and good value for money service. We operate out of Welwyn Garden City, also covering areas such as St Albans, Harpenden, Borehamwood, Barnet, North London and many more. With the experience we have gained this allows us to tackle a whole host of jobs from basic tree reductions to large scale fells, hedge trimming and stump grinding. What is important to me is ensuring my employees have the fundamental knowledge and qualifications to carry out the works in a safe manor. I encourage my team to not only improve on there daily practical work but to also build up a superior academic knowledge. Putting us ahead of the field.